Bangalore Little Theatre has been up and about since 1960 and has not stopped since. Staging almost 200 plays since then, they’ve got it all going for them and then some. Founded in 1960, Bangalore Little Theatre has been one of Bangalore’s theatre stalwarts. Then, English theatre was of the British Bedroom Comedy form. So, BLT stuck to that. The first play was Moliere’s The Prodigious Snob, way back in December 1960. With every performance, the group got bigger and better, going from an amateur troupe then, to a professional body that believes all of its members are equals, now. BLT has a vision simply described as Think Globally, Act Locally. Everything about the organisation shows that it is all about the people here, equality and is about the community. 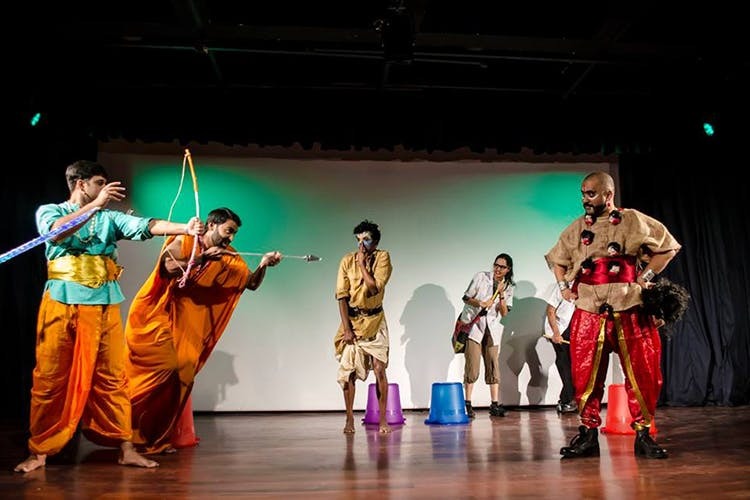 BLT is split into the ATA or the Academy of Theatre Arts, centred on theatre development and BLT or Bangalore Little Theatre, centred on theatre performances. The ATA is focused on education of theatre and passing on the knowledge of theatre on and forth. So if you’re really serious about your career in the industry, then this is the place to be. All of their activities are conducted in schools, colleges and with the public, so that theatre is not a passing art, but is a growing phenomenon again. And sometimes it’s not just the theatre arts, it is about all the performing arts. Schools and colleges are integrated with programs and the art is passed from the experienced to the beginner. They have a flagship training program, called SPOT or Summer Project on Theatre. This program is a three-month-long project which combines training and production and ends with a production by the students. Like they say, ‘start ’em young’. The BLT usually has a few performances a year, including charity events and training and workshops. They also have a children’s theatre program, to engage children even through interactive plays. Find out more about BLT on their website here. If you wish to be a part of the charitable trust or contribute to the course, you can contact them through the link here.